Greetings from the Old Caledonian Bed & Breakfast! The weekend before Valentine’s Day was our big “Valentine’s Weekend Getaway”. Guests were treated to a fabulous four-course dinner, live music and complimentary mimosas with breakfast. They also received a variety of house-made goodies in their room including rose macarons and chocolate truffles. On Valentine’s night we hosted our first ever winemaker’s dinner in collaboration with the great folks over at Edg-Clif Farms and Vineyards. The menu included house-made pasta, lamb sausages, smoked fish and extravagant desserts. Each course was paired with a different wine from Edg-Clif. A beautiful event with more to come! See our upcoming schedule of events below for details. We participated in the TSE Bridal Show in Farmington on March 12th and had a wonderful time. Congrats to Mandi Allison, the winner of our Tea-For-Two drawing! 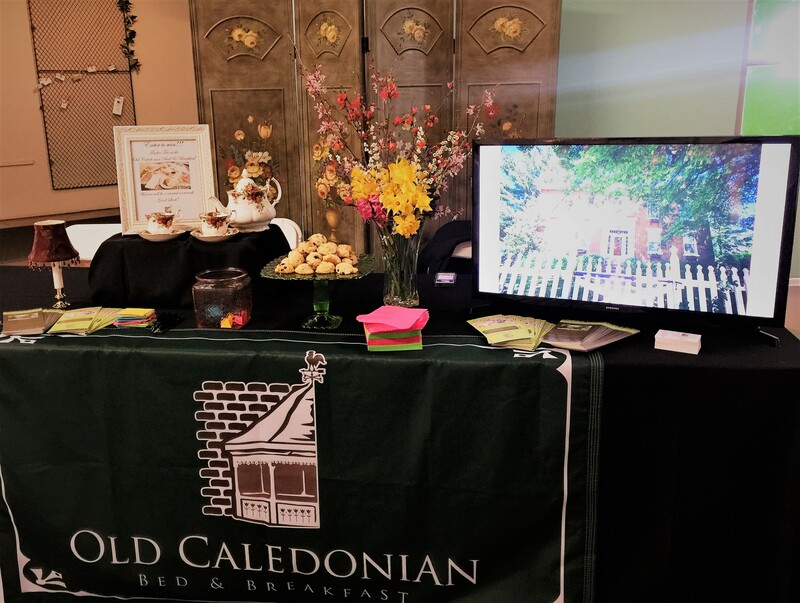 Interested in learning more about weddings at the Old Caledonian? Or, perhaps, an officiant for your wedding ceremony? Please see our Weddings and Events page for details, and be sure to make to make an appointment to come by for a tour of our wedding facilities, including our famous gazebo and incredible Bride’s Room, a room dedicated for bridal parties to get ready for the big event (even if your ceremony is somewhere other than the Old Caledonian). We have a busy spring, summer, autumn and winter coming up in 2017! Check out our upcoming schedule of events, and be sure to plan your stay early at www.oldcaledonian.com! See you in Caledonia! April 28th– Winemaker’s Dinner with Edg-Clif at the Old Caledonian Bed & Breakfast. Overnight stays for dinner attendees will be 10% off! May 20th– 2nd Annual Caledonia Vintage Market. The Old Caledonian will be serving a vintage teatime in our famous gazebo during the event! Stop by for a proper brew and some delicious teatime treats from our kitchen, served on vintage china. We will also be featuring fabulous vintage makeovers by Shelly Rushing of Bombshell Barber & Parlor! Plus, vintage items and Younique Products for sale. June 23rd-Winemaker’s Dinner with Edg-Clif at Edg-Clif Farms & Vineyard. Overnight stays for dinner attendees will be 10% off! August 11th-Winemaker’s Dinner with Edg-Clif at Edg-Clif Farms & Vineyard. Overnight stays for dinner attendees will be 10% off! August 21st– The Great American Eclipse!! !- We are right in the path of the total eclipse and will have one minute and 26 seconds of totality! Lodging will fill up quick for the entire area, so book now. We will update with eclipse-related activities over the next few weeks, please watch our Facebook page, blog and emails for more info. September 23rd and 24th– The Battle of Pilot Knob Re-Enactment. Again, lodging in the entire area is sure to be full for this event. Please book early! October 14th– 2017 Caledonia Pumpkin Fest. Our most famous Caledonia event! Book now for all things pumpkin. October 20th– Winemaker’s Dinner with Edg-Clif at Edg-Clif Farms & Vineyard. Overnight stays for dinner attendees will be 10% off! November 17th & 18th– Caledonia Chocolate Walk & Christmas Open House. A fun holiday event with most all of the independent shops, antique stores and B&Bs in Caledonia and Potosi participating! Visit them all for a chance to win a great prize. 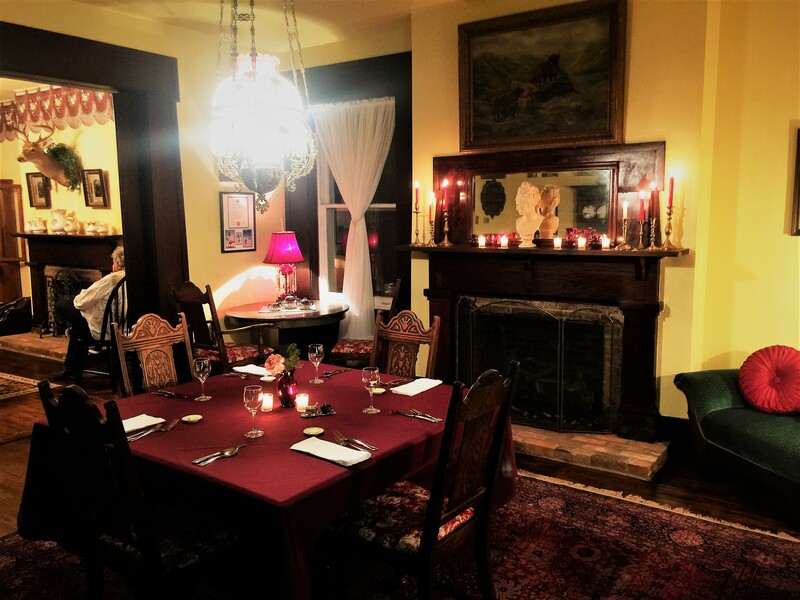 December 8th– Winemaker’s Dinner with Edg-Clif at the Old Caledonian Bed & Breakfast. Overnight stays for dinner attendees will be 10% off!